The College Programming Board invited talented comedians Fumi Abe and Peter Revello to host this week’s installment of Tuesday Night Live. Abe and Revello both had personal charm that sparked natural interactions with the audience. Hailing from Staten Island, Peter Revello came armed with jokes about New Jersyians and New Yorkers alike. Revello befriended the crowd by asking students in the audience what they study and what their plans are for life after graduation. 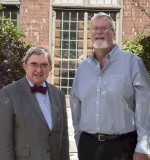 Revello recalled his personal experiences at college as a philosophy major. He continued to interact with the audience by asking about their experiences with their first jobs, as he shared humorous encounters from his first job as a paperboy. 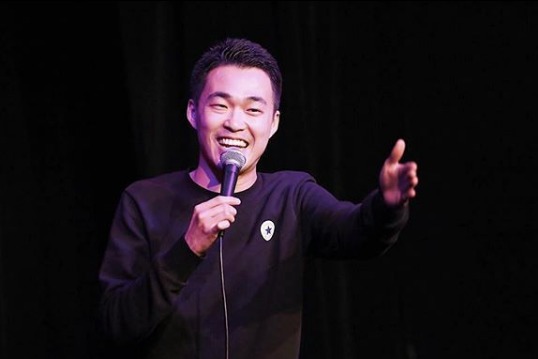 Most well-known for his performances at The Stand, Broadway Comedy Club, Caroline’s on Broadway, FunnyBone and Laugh Factory, Fumi, Abe took the stage next. Abe introduced himself to the audience as a Japanese-American immigrant who grew up in a small Midwest town. Abe opened his set by asking questions about what Ramapo College is known for, and how students would describe it using only a few words. Throughout his set, he discussed the under representation of Asian actors and actresses in the movie and television industry, and his unique experience with auditioning for a Verizon commercial. As the audience fumbled for names, only to come up with “that guy from the ‘Hangover’” Abe proudly made his point. From there, he shared more stories about growing up and dating as a minority in a small suburb. Unlike some comedians who have the tendency to dwell on subjects for awkward periods of time, Fumi Abe skillfully moved through a variety of subjects in a short amount of time.